The UK tourism sector is set to see a boost in the number of Chinese visitors this winter. The increase in arrivals has partly been accredited to the growing trend of Chinese visitors wanting to celebrate the Chinese New Year in London. The UK is gearing up to host some of the largest celebrations outside of Asia, with events such as a three-day celebration in Liverpool, parades in Manchester, festivals and performances in Birmingham and a street parade from Charing Cross to Chinatown in London. Forward flight booking data showed that bookings from China to the UK were up 24 per cent from Wednesday 30 January to Tuesday 12 February, compared to the period when Chinese New Year fell last year. The longer-term forward booking data shows that bookings from China to the UK were up 31 per cent from January to June this year – compared to the same period in 2018. VisitBritain is expecting 483,000 visits from China in 2019, up 43 per cent on 2017, with Chinese visitors expected to spend more than £1bn this year, up 50 per cent. The increases mean that China has now become one of the UK’s top 10 inbound markets. "We want the UK to be the number one destination for travellers so it is great to see forward bookings looking strong in the coming weeks and months from China," said VisitBritain director Patricia Yates. “China is an extremely important market for us and we’re building on the growth we have seen, working with partners such as British Airways and Chinese travel giant Ctrip to convert the inspiration to visit into bookings and making it easier to visit and explore more of the UK through regional gateways, driving our ambitious plans for growth." 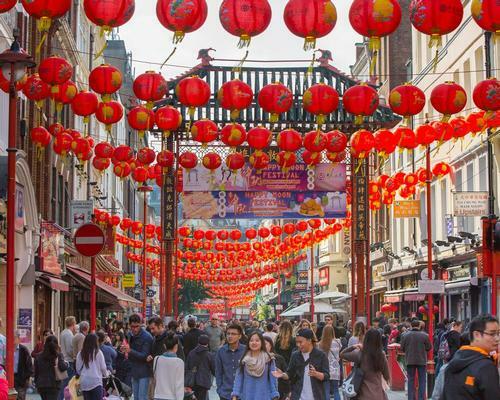 Official figures show that visitors from China are some of the UK’s highest spenders, spending on average £2,059 during their visit, more than three times the all-market visitor average. VisitBritain calculates that for every 22 visits from China, one job is created in the tourism industry.